Application: General Wiring, inside conduits or equipment in houses, building and factories. 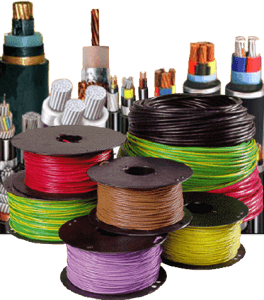 Application: General Fixed wiring, indoor or outdoor. Production: Plain annealed copper solid or stranded conductor with PVC Insulation, two, three or four cores twisted with suitable filler to make cable circular, then covered with PVC Shealth.